He’s back and you thought he was dead. 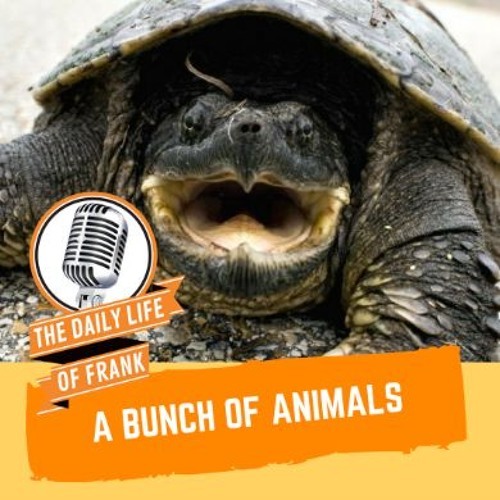 Episode #34 of The Daily Life of Frank is on the Yak Channel and this podcast is going to be a quickie because he has a delicious Giordano's pizza on the way. He talks about his favorite beer, bugles, and how’s its going to be a seriously fantastic summer. He talks about hanging out the baseball game, old wrestlers, fried Twinkies, and the amateur weather man. He talks about his trip to the zoo and how his neighborhood might be a cheap zoo. Also, he talks about holding a python, his delivery driver who was drunk, man and his aluminum, the school year coming to the end and more!